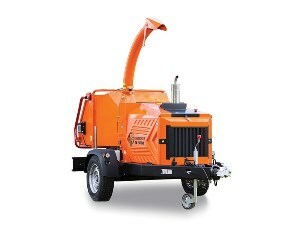 The NEW Timberwolf TW 280TDHB 8" road tow chipper has 210mm (8.26) cutting performance, weighs 1180Kg and has a 45hp Kubota V1505 4 cylinder turbo water cooled diesel engine. A super-wide funnel, a vast feed size and huge crushing power means you can get wood chipped without time-consuming prep work. It now has even more crushing power and bigger chipping capacity than the Timberwolf TW190 TDHB with a maximum capacity in excess of 8 inches and feed aperture is 15% bigger than its nearest rival. It also has a wider footprint for added stability.